Hanging Acoustical Clouds panels are best suited for noise and reverberation control in large spaces with high ceilings. These acoustical clouds are designed to reduce echo in areas such as Auditorium, Lecture Theater, gymnasiums, multi-purpose rooms, and other high ceiling spaces. 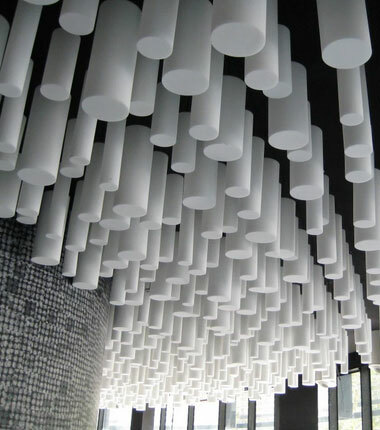 They can be suspended from the ceiling / truss as vertical baffles or horizontal clouds.